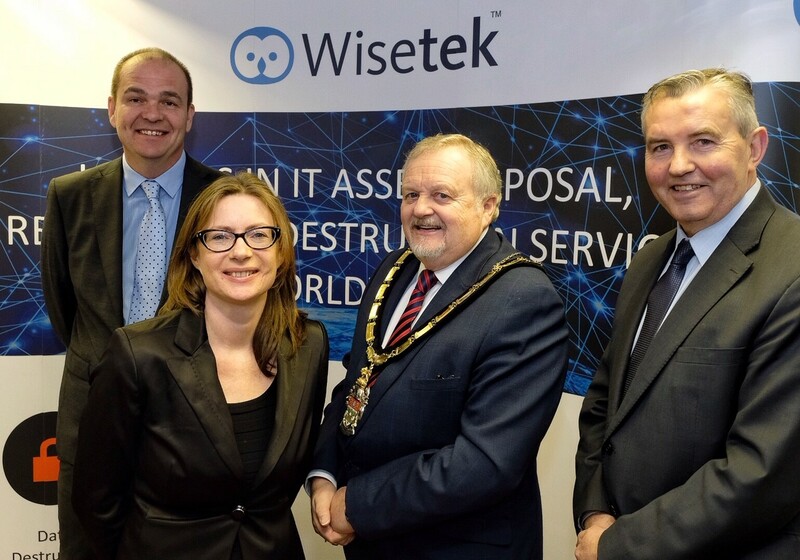 Reading, UK – 29th January 2019 —Wisetek Solutions UK Ltd, a global leader in advanced IT asset disposal, data destruction, technology reuse and manufacturing services, has announced the official opening of its new operations centre in Reading, Berkshire, United Kingdom. Wisetek will provide IT asset disposition and data disposal services to a number of multinational organisations in the London and surrounding areas. The Reading location will initially hire over 10 new employees this year and numbers are expected to grow beyond that. Sean Sheehan, CEO, Wisetek, said: “London is the second most connected place for technology in the world after Silicon Valley, and the UK technology sector is growing almost three times as fast as the overall economy. As Wisetek expands across the globe, it is a logical step for the company to enter the market. Wisetek’s expansion into the United Kingdom is a strategic decision to bring our unique data destruction and IT asset disposal operations to the thriving tech industry and business community in Britain,” Sheehan continued. The UK government recently announced a new circular economy strategy to combat the UK’s waste problem. By the end of 2020, the Government will consult on changing the waste electrical & electronic equipment (WEEE) initiative to incentivise more sustainable product design from producers and to increase recycling. The outcomes will affect technology producers and businesses, and Wisetek UK believes that there are several measures that both Reading-based and all UK businesses should consider to ensure a more cost effective, secure and sustainable IT procurement and disposal strategy in 2019 and beyond. The UK expansion for Wisetek is another significant development for the international footprint of the company. As well as its facilities in Cork and Dublin in Ireland, the company has a strong presence in the United States, Thailand and the Middle East. The UK’s new MD, Dennis Frize, previously held senior roles at Ingram Micro and Iron Mountain.